side, and no matter what you're chopping, it will feel like slicing through butter. video to see the whole sharpening process by a professional. one year to receive a 100% hassle-free refund, no questions asked. 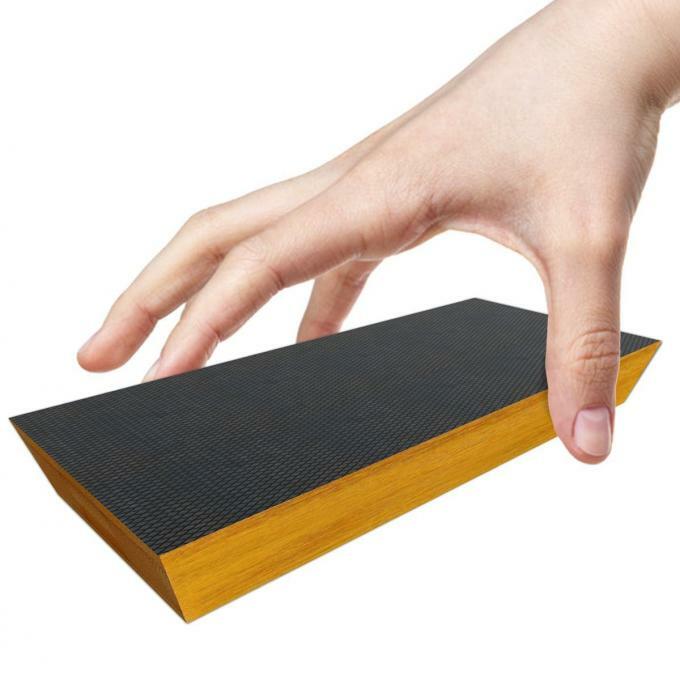 - Fully immerse whetstone in water and soak until bubbles no longer appear (+/- 5 minutes). consistent light pressure. Maintain steady angle on both sides for best results. - Alternate sides each stroke or every 2-3 strokes. - Sprinkle more water on the top of the stone to ensure the top surface remains wet. 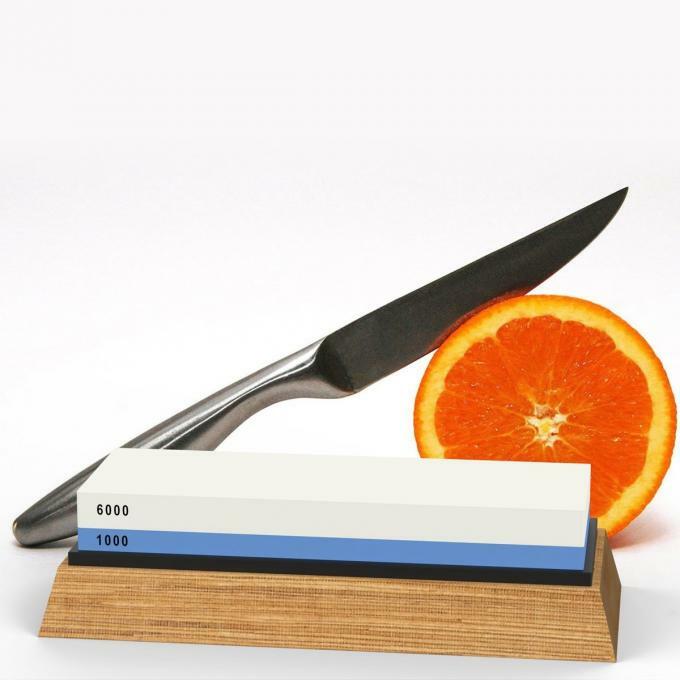 - Repeat using the #6000-grit side until your knife is as sharp as you want! 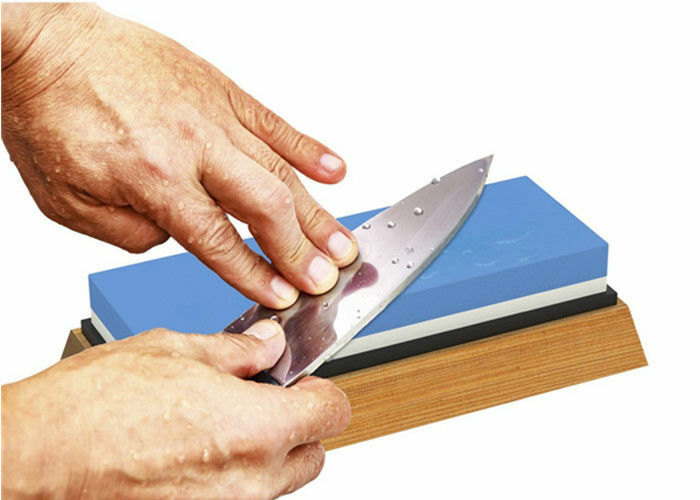 - Wash the knife with hot soapy water to remove debris and rinse the whetstone to remove any residue. Allow to dry 48 hours before storing.